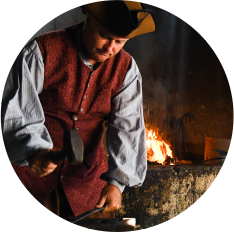 On our hourly Historic Adventure Tour, we explore how the colonial Blacksmith worked hard at the forge! He reworked old metal into tools, cooking utensils, strap hinges, and nails. 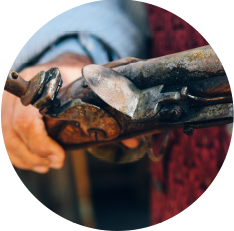 Join our Tour to stand tall as you learn to lock and load your 17th century replica musket! Our talented tour guide, who demonstrates musket drills, also repairs and maintains the garrison’s guns and weapons, and inspects and tests firearms. Watch as they do a full musket demonstration. 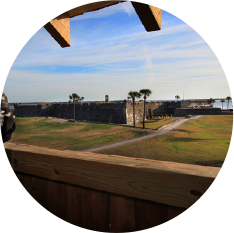 Climb 35 feet to the top of our interpretation of a Spanish watchtower from the past for a birds-eye view of the Castillo de San Marcos and St. Augustine’s bayfront. Pinpoint the historic city’s landmarks, new and old, and imagine what Spanish soldiers looking out would have seen and felt! 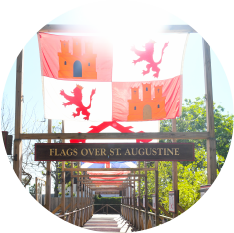 Stroll the Flags Over St. Augustine boardwalk, padding through the centuries beneath the very flags that have flown over this Ancient City for over 450 years—from the flag that likely flew on the mast of Juan Ponce de Leon’s ship as he explored Florida’s northeast coast to today’s 50-star Stars & Stripes. 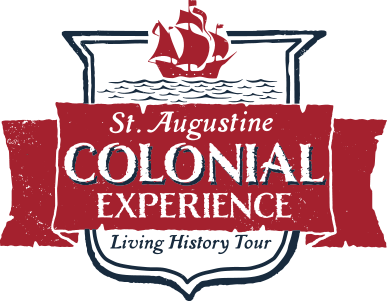 Step back in time as we explore 500 years of European History in St. Augustine! Informative and fun tour with an engaging tour guide. John was entertaining and knowledgeable and had everyone laughing. We usually don’t do the touristy stuff but this was a great history lesson with some nice demonstrations. Not badly priced either! A must do tour for locals and tourists. Our guide was very engaging and informative. Our family learned so much and had the best time.